Phillips’s metaphor in this book agricultural. If the goal of the Christian life is to bear fruit, then it is necessary to cultivate that fruit. Like real fruit, this takes time and discipline. This is a biblical metaphor; she begins with Hebrews 6:7 and uses Jesus’s metaphor of the vine from John 15, but she resists the temptation to use Paul’s list of the Fruit of the Spirit as a model. For Phillips, spiritual growth is participatory, one must recognize the need for growth and choose to cultivate their spiritual life. Although she does not make this point, it is entirely possible people who are busy serving in their churches or participating in emotionally moving worship services are not actually cultivating their spiritual life or bearing the kinds of fruit described in Scripture. This book is designed to move people from keeping busy to real spiritual life. The book has five pairs of chapters on particular disciplines. Phillips begins each chapter with Scripture and a personal illustration to introduce the topic which is briefly discussed. Phillips uses other biblical texts and a wide variety of other literary examples to flesh out her point (Karl Rahner to T. S. Eliot to characters from Les Mis). She often concludes with an illustration of the discipline from a cross-cultural perspective. Her first pair of topics is refreshment and listening. She argues listening (to other, to God) cultivate both virtue and a deeper relationship with God. Similarly, her second pair of topics explore “stopping” and Sabbath. Sometimes slowing down and listening to God is not enough, we need to come to a complete stop and be silent from all activity in order to cultivate a spiritual life. In fact, stopping may require a period of fallowness: just as fields are left fallow for a season in order to be fruitful, so to the Christian ought to take a short time of rest, even a pilgrimage in order to develop a fruit-bearing life. This naturally leads to the idea of Sabbath. Although Phillips does not advocate for a legalistic Sabbath, she sees the value of devoting a day to slow, even silent listening to God. Fourth, she uses cultivation of attachment as a foundation for discussing spiritual direction. One must be attached to God if they expect to develop and grow spiritually (once again, coming out of the circus). Once oriented toward the right goal (God), a person is able to be directed through quiet reflection and prayerful attention to Scripture. Fifth, Phillips has two chapters on friendship. In many books on spiritual discipline these chapters might concern mentors or accountability partners. But Phillips sees these relationships as more intimate friendships between people who spur one another on to cultivation of spiritual disciplines. 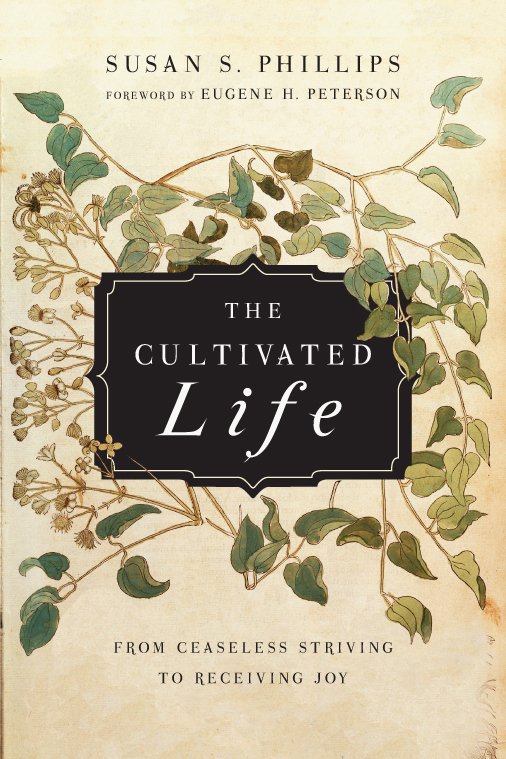 The final two chapters of the book concern how to grow spiritual by “enriching the soil.” The goal of cultivation of a spiritual life ought to be some tangible result, just as the cultivation of a tree is some fruit. Christians are, for Phillips, “walking trees” (202) and need to be enriched with things like joy and exaltation. Once again, a typical spiritual growth book may have used Bible study and prayer (along with other classic disciplines). Each chapter includes a few questions for reflection. These might make good journaling prompts or discussions questions for a small group devoted to studying spiritual disciplines. The chapters are quite brief so that a weekly small group might discuss their way through the book. One possible criticism some will have of this book is the occasional lack of Scriptural warrant for some suggested practices. In some chapters the point is well made, but grounded in experience and contemporary literature rather than New Testament spirituality. For some readers, this might be a refreshing change from the usual sorts of things included in books in the spiritual growth and development category.